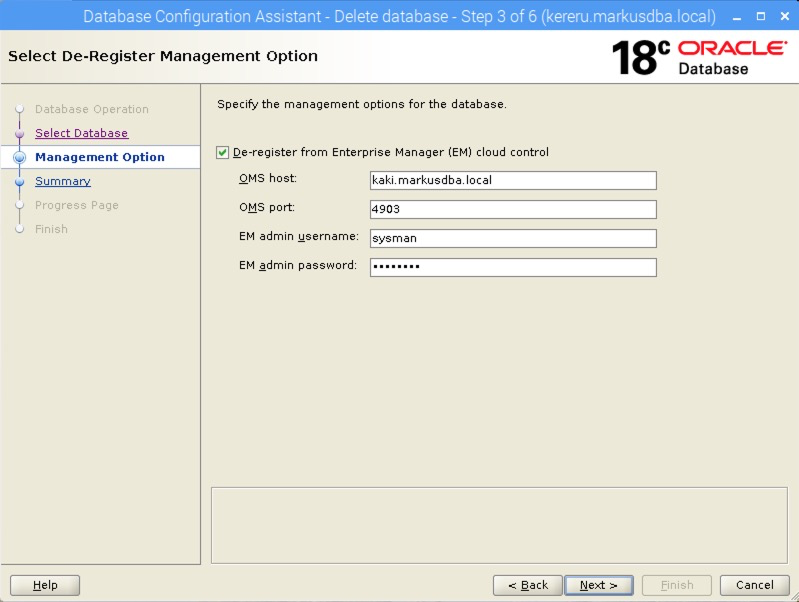 When you create a database using Database Creation Assistant (DBCA), there is this screen “Specify Management Options”. For my test database on VMs I choose “Enterprise Database Express” as a simple standalone-management option most times. 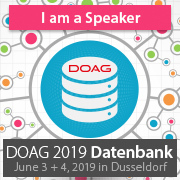 But there is this other option “register databases with cloud control” – I’ve never used this option before, I always used target discovery and promotion in OEM Cloud Control. And after DBCA has completed its work and the database is ready, you’ll find the database as a target in your OEM cloud control. No target discovery, no target promotion. 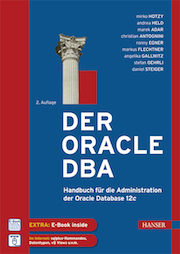 Some time ago I received the warning message “chmod: changing permissions of ‘/u00/app/oracle/product/11.2.0.4/bin/extjobO’: Operation not permitted” when patching the Oracle RDBMS at a customer site. This was the reason for me, to check what happens to file permissions and ownership when patching or relinking Oracle RDBMS software. 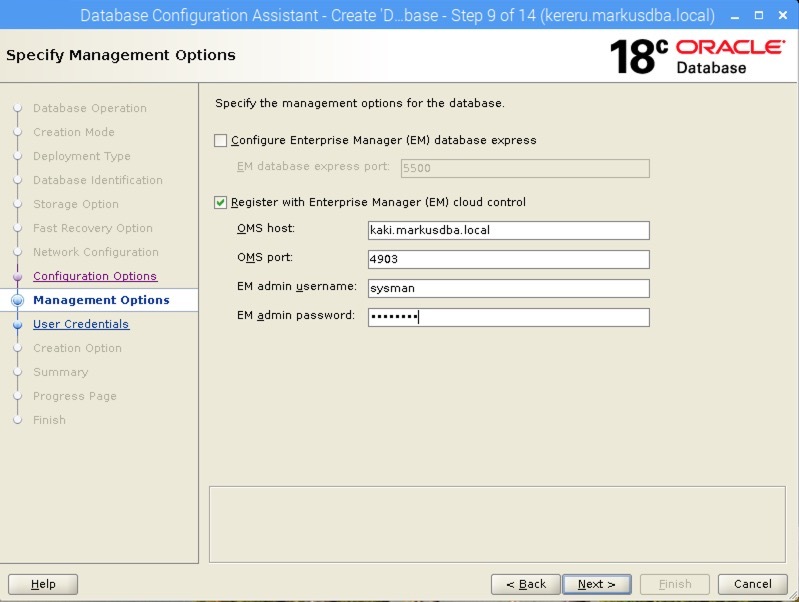 Oracle 18c Express Edition (XE) comes with a container database as default database. Up to 3 pluggable databases are free so XE is a good start for getting familiar with the Multitenant architecture. However, you can still run a Non-Container-Database with Oracle 18c XE. You can simply use the Database Configuration Assistant (dbca) to create such a database. I recently upgraded the repository database of my Enterprise Manager Cloud Control 13.3 playground from release 12.2 to release 18.3. When checking the alert.log of my repository database – which is a Non-CDB – I found some interesting entries in the alert.log file.